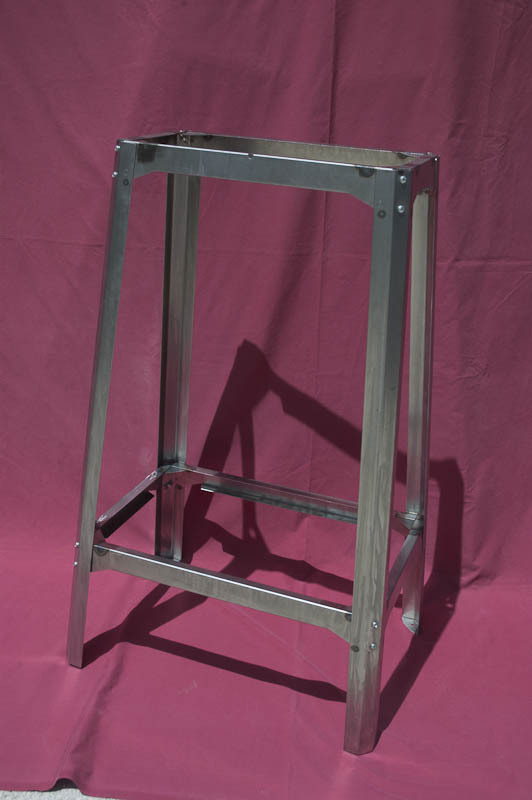 Our meticulous attention to detail results in a quality reproduction Canteen Candy Machine Model "S" Base Stand. Comes powder-coated/epoxy primed with stainless Steel hardware & four leg levelers with teflon pads ensuring safe scratch-free on tile and wood flooring! Approximately 25" tall (not including leg levelers) and replicated like the original as seen in our fourth example photo.